A Impressora em Cores Xerox 550/560/570 não é mais vendida. Talvez você queira conhecer o produto que a substituiu. Com a gama de opções de alimentadores e de acabamentos de impressão disponíveis para o seu equipamento de produção Xerox, é possível adicionar os recursos que você mais necessita e melhorar o seu fluxo de trabalho, aumentando o número de tarefas em andamento e o retorno do investimento. A FreeFlow Makeready simplifica as etapas de pré-impressão. As ferramentas de design do FreeFlow VI Suite podem produzir arquivos PDF ou VIPP, permitindo que os usuários selecionem a opção de saída mais adequada às suas necessidades. Creative applications printed on the Xerox Color 550/560 Printer received honors from the International Association of Printing House Craftsmen (IAPHC) in its 2011 Gallery of Superb Printing Awards. The Xerox Color 550/560 won 2 gold and 2 silver awards. 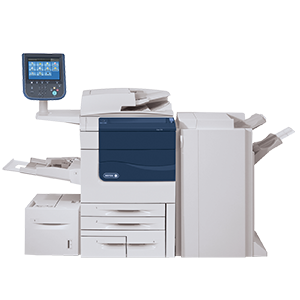 Better Buys for Business, the nation's leading independent authority on document imaging equipment, named the Xerox Color 550/560 Printer as an Editor's Choice in their High-Volume Printers Guide for 2011. Selections were based on rigorous analysis of all current models. The Xerox Color 550/560 was awarded a first-place Gold Ink award for achievement in digital printing, specialty category at the 2011 Gold Ink Awards. The first-place entry, a portrait titled "Metallic Girl," was produced on a Xerox Color 550 Printer with a Creo® Color Server CX560 front end. The piece will be featured in Printing Impressions magazine and www.goldink.com. The Color 550/560 also won two pewter awards for entries titled "Zoo Snaps Accordion Pix" and "Fashion Wall Clings". The Xerox Color 550/560 Printer received 4 out of 5 stars from Buyers Laboratory Inc. (BLI) in a field test report. 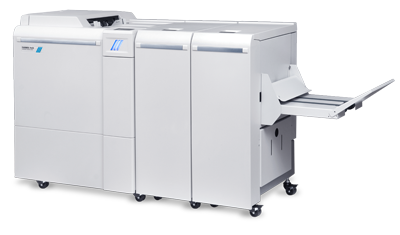 BLI rated Image Quality a 5 of 5 and cited "2400 x 2400 dpi as superior to most other units tested" and "above average ease" and "versatile paper handling" among the product's advantages. Worth-a-Look awards, sponsored by PrintCom Consulting Group, are presented for products displayed on the Graph Expo show floor which are deemed compelling for print providers in specific market segments or niche market. The selection committee chose the Xerox Color 550/560 Printer for a Worth-a-Look award in 2010.